There are many applications for our products. 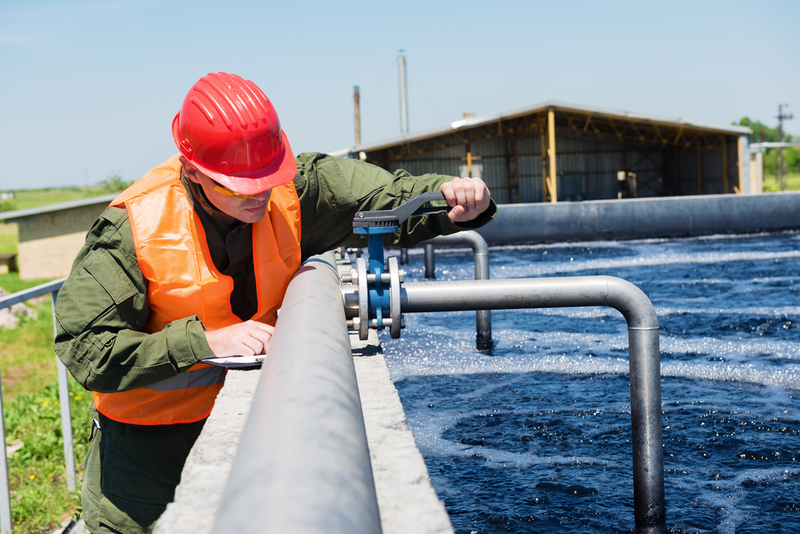 Understanding your Industry is as important to us as quality, speed and cost when it comes to your satisfaction. 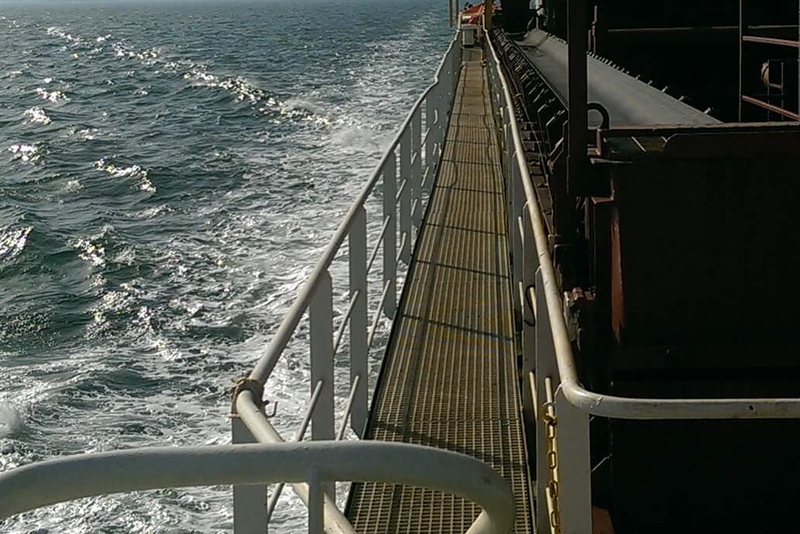 We have worked in many industries over the years and our success is founded on the fact that we go the extra mile to understand your values and your needs. 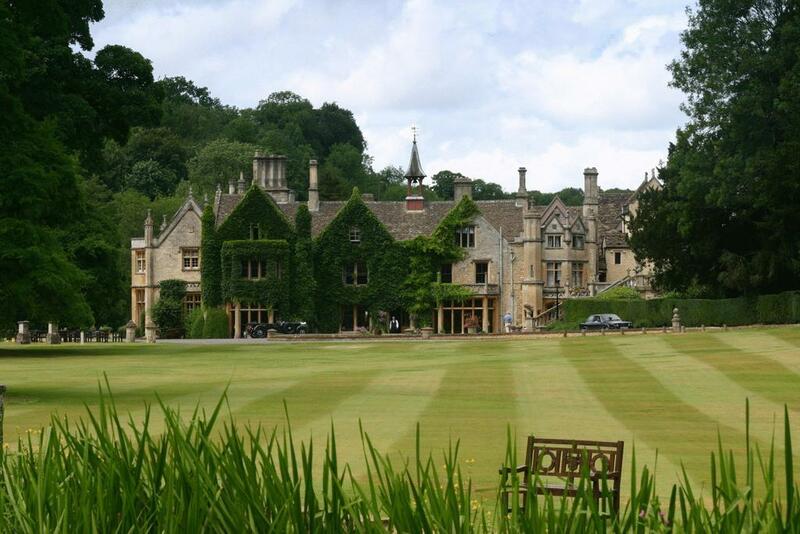 Our vision is to be the preferred supplier of choice by offering the highest levels of satisfaction to all industries, but don't just take our word for it. Check out some of the Applications below. 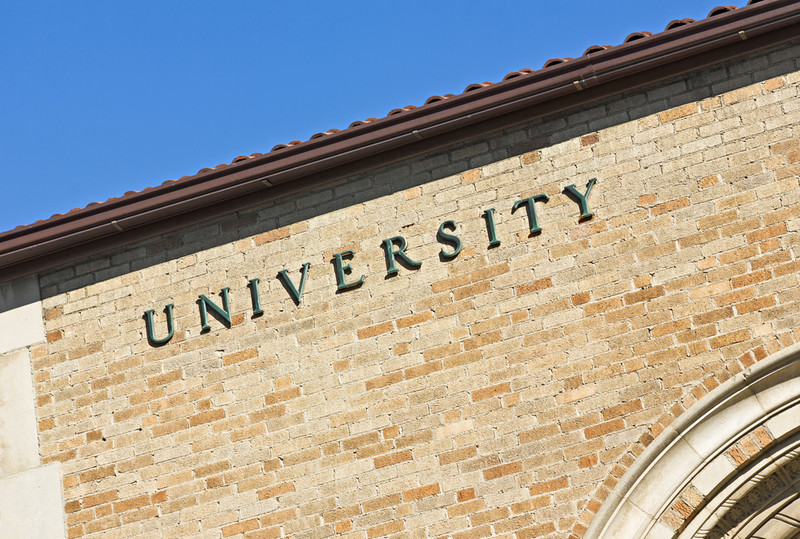 Also check out our frequently updated Blogs as well. 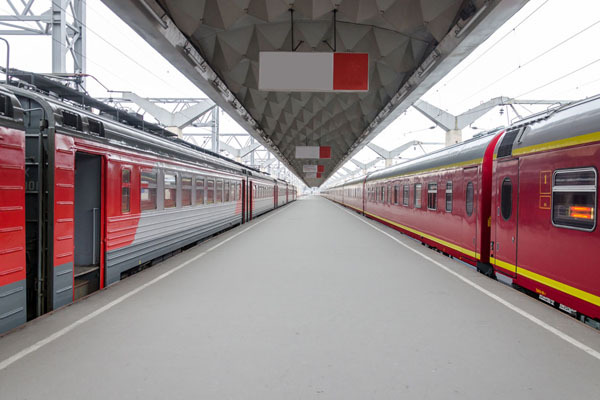 Low-Cost Solution in High traffic areas. Long Term Wear Resistant Remedy. 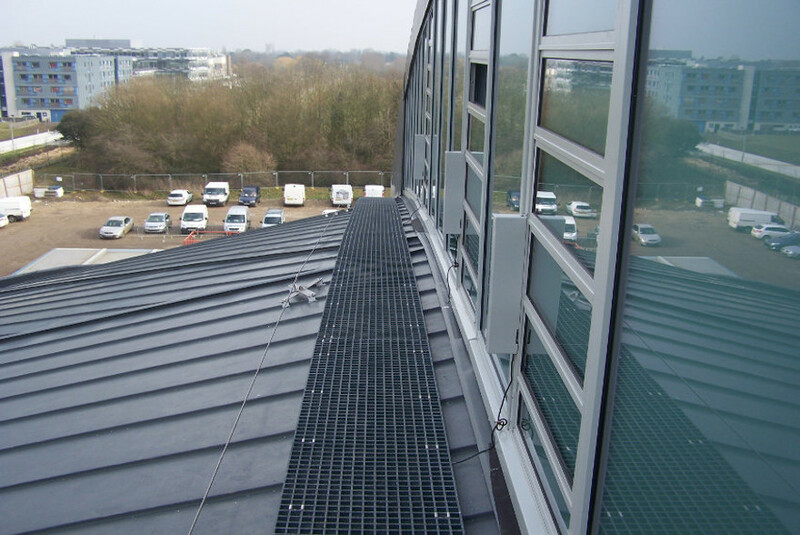 Designed for the use in Service Riser Vents and Riser & Shaft Flooring. 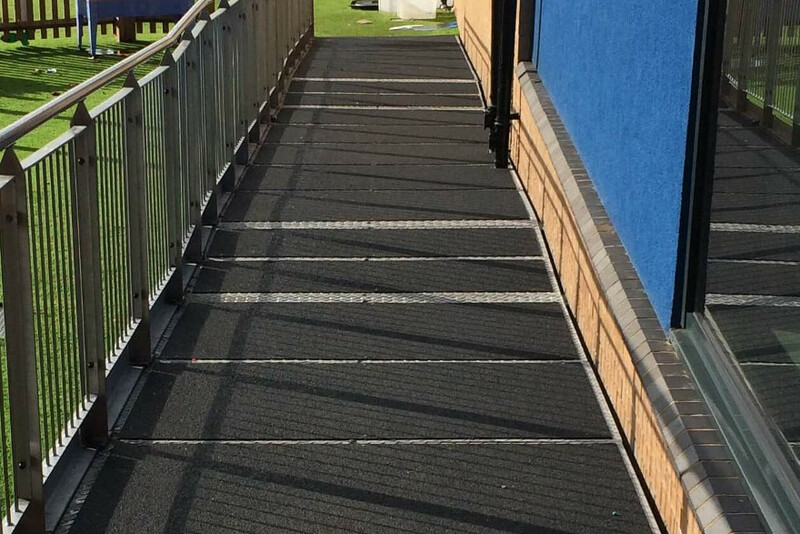 Schools attract high footfall which means high potential slip hazards. GripClad Sorted it. 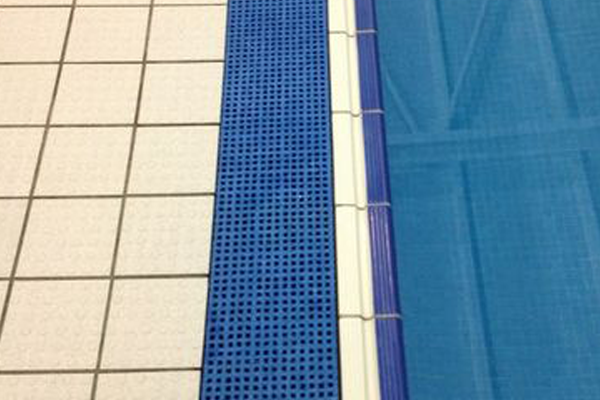 Large brand Leisure Centre chose our GripClad GRP Minimesh Grating, see why. 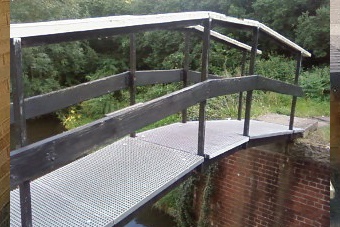 Major Footbridge surface replacement from Timber to GRP Grating ensuring slip-resistance safety to pedestrians. 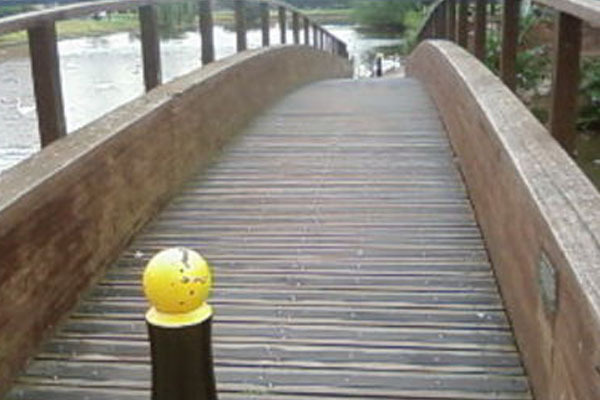 Our product was supplied to fit onto grooved decking slats ensuring cost-effective solutions for the long term. 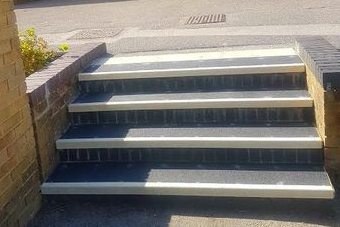 Worn out painted steps in need of an updated anti-slip solution. 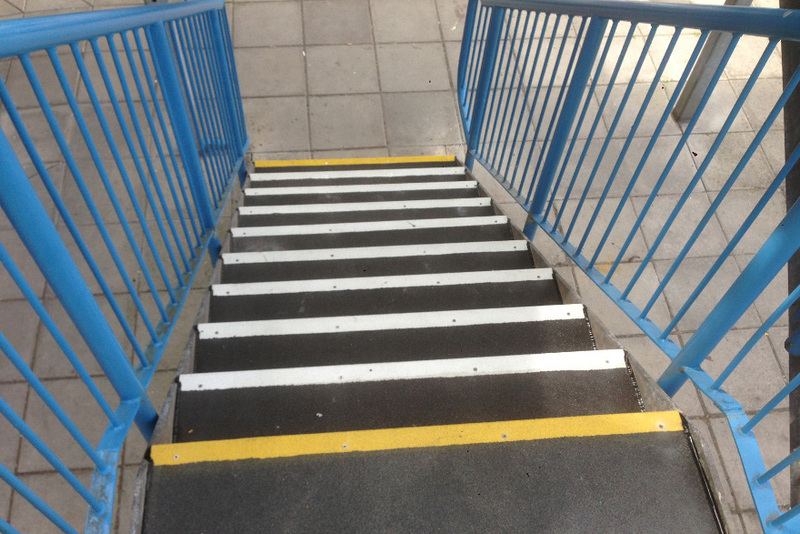 GripClad deployed it for campus stairs and walkways. GripClad's well known for supplying this product solution to Golf Clubs. See why! 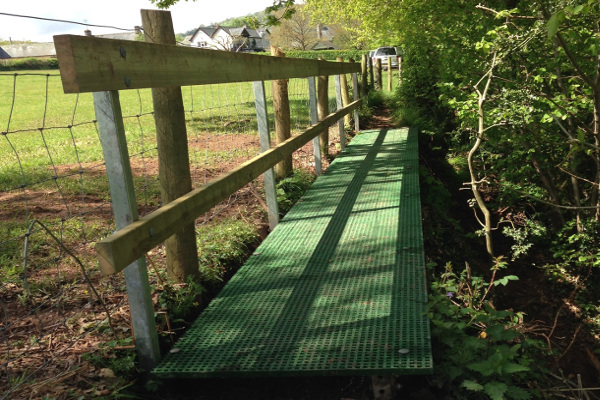 GripClad GRP Mini-mesh grating replaced worn wooden pathways for the right reasons. View the story. A complete enhancement making walkways and stairs areas safe. 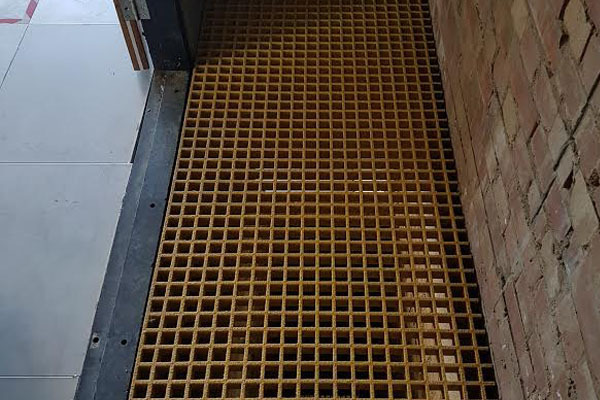 Anti-Slip Grating was supplied in accordance with Tarmac Marine's specification as a long term solution in salt sea and air environments. 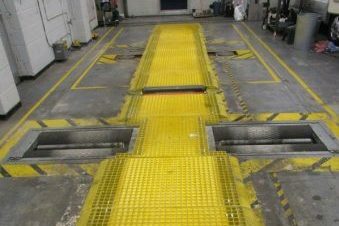 Keeping an HGV Garage Inspection pit covered for safety when not in use was a Priority. See More. 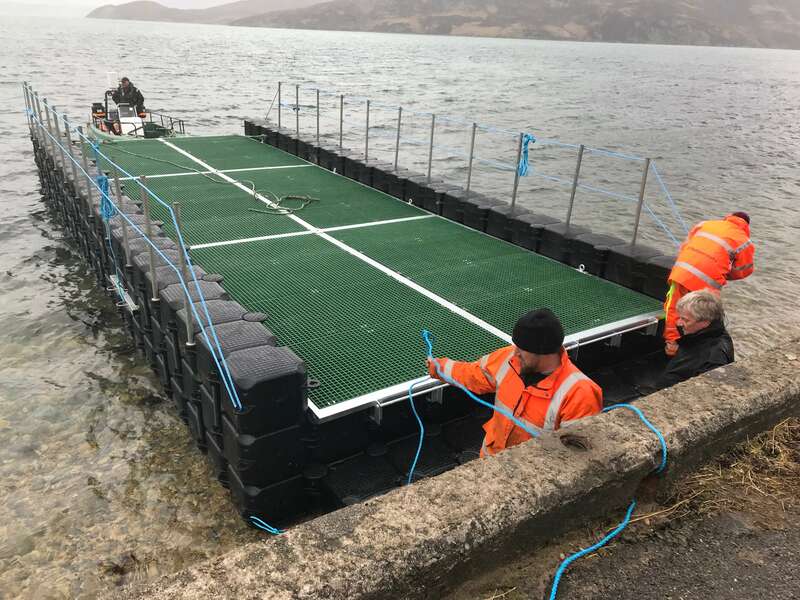 Providing GRP ISO panels to ensure a non-slip surface on the ferry pontoon. More Info. 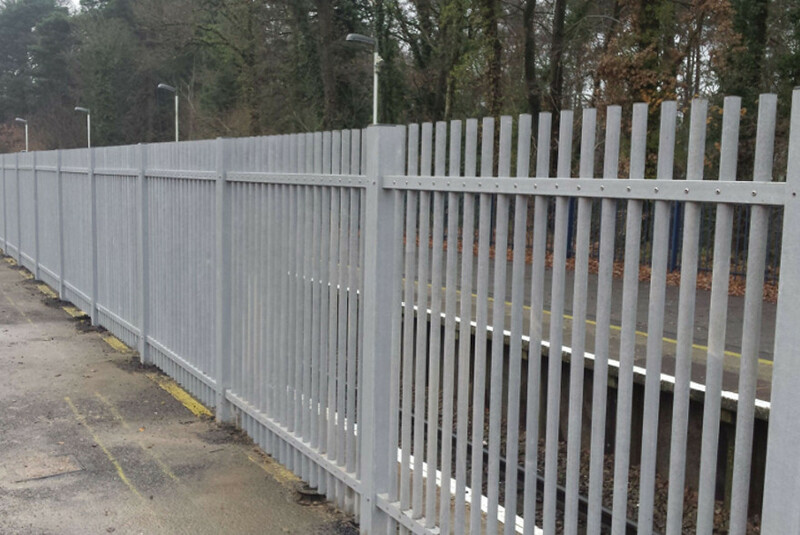 GRP Fencing offers excellent non conductive properties and can be used in areas as the better option to metal. 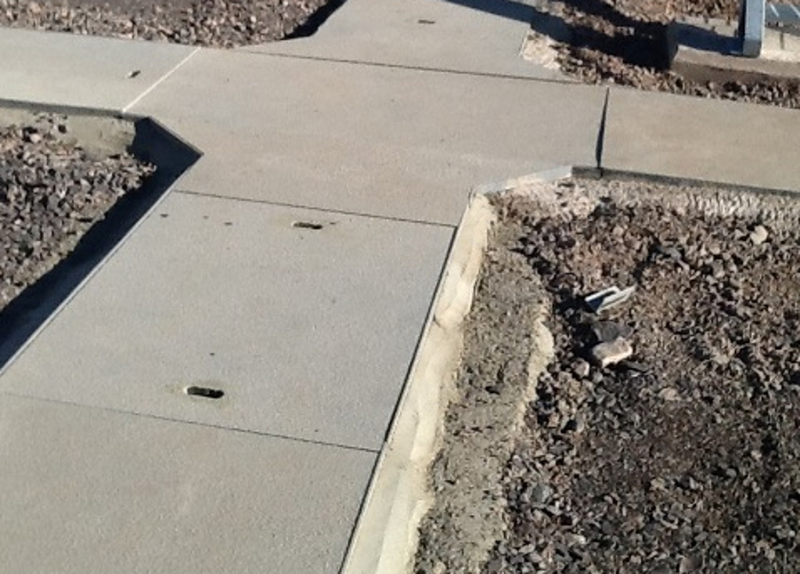 GRP trench and gully covers are superior to concrete and steel alternatives, providing better grip and bearing heavier loads. 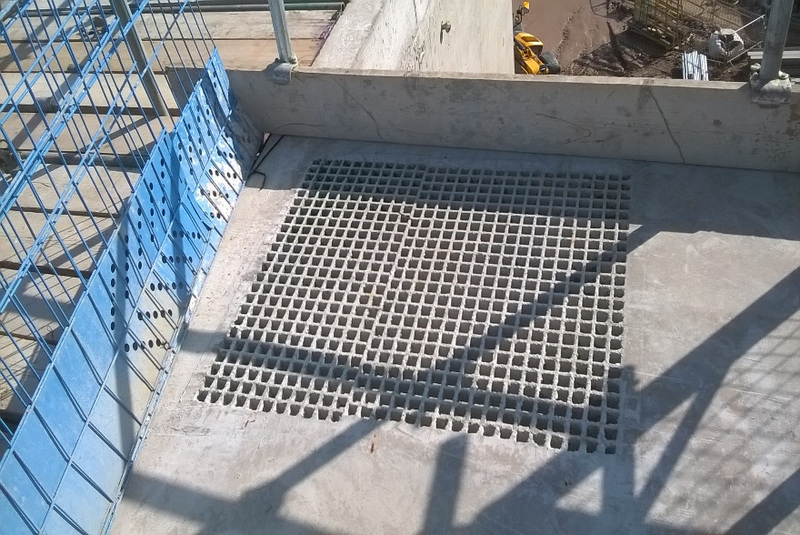 GRP Service Risers offer superior grip on industrial sites.